Spanish is a varied language –depending on where you go, you may see words specific to a certain country. When I lived in Spain, typically a parking lot would have a sign saying “estacionamiento”. In some Spanish-speaking countries, you may see the word “aparcamiento”, which also means a parking lot. 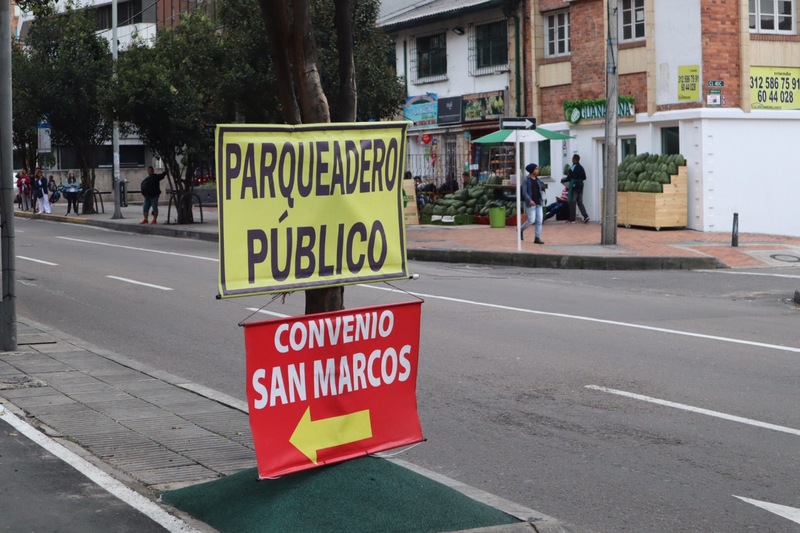 In Colombia, you will see a different word: “Parqueadero” (as pictured here) which means a parking lot in Spanish spoken in Colombia. In many Spanish-speaking countries, if you want to drink a coffee with milk, you will ask for a “cafe con leche”. However, if you want the same in Colombia, you will ask for “un perico”. If you want a sandwich in Colombia, you will ask for a “sanduche” while in other countries you would probably ask for “Un bocadillo”. Spanish speaking words largely used in Colombia may be referred to as “Colombianismos”. ← The Shops at Hudson Yards, NYC: The Lowdown!